La Grave is a small stone-built village known as "the most beautiful village in France" and is in an exceptionally sunny position with panoramic view of the Meije glaciers. 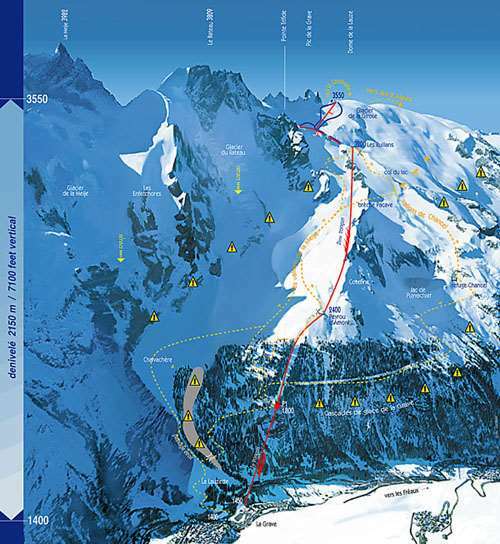 La Grave is one of the world’s great skiing places offering wilderness skiing and breath-taking slopes. 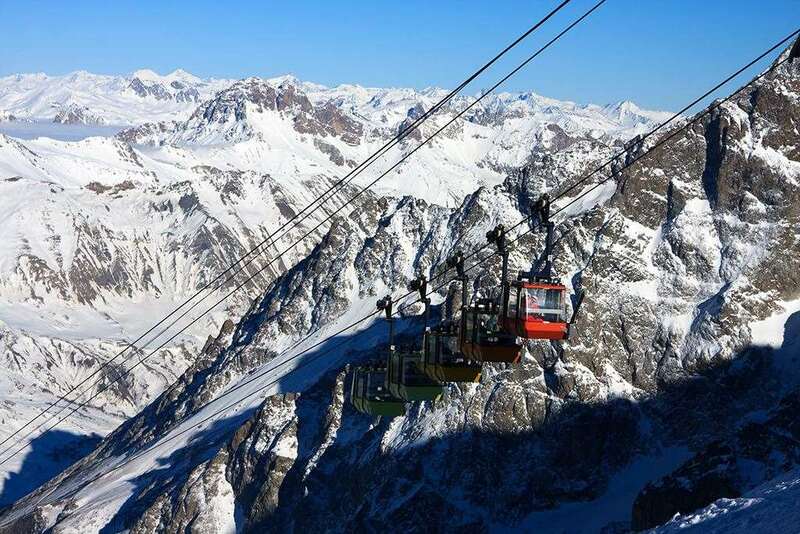 The La Meije Glaciers Aerial Tramway provides the sole access to this high altitude glacial terrain, and carries passengers on ski holidays in La Grave to the Ruillans Pass at 3200 meters in 30 minutes. The Trifides and Dome de la Lauze drag lifts then take them up to 3550 meters, where they discover the only two marked trails, along with an access to the Deux Alpes ski resort. Here on your ski holidays in La Grave you can carve turns according to your inspiration and level, far from any groomed trails or lift pylons. You can ski down the most amazing runs in Europe with an uninterrupted vertical drop of 2150 metres in a stunning setting. This requires a certain technical level, but above all a good dose of humility and responsibility when faced with the natural elements. There are three restaurants located on the mountain where tourists can enjoy panoramic views over the snowy pistes whilst enjoying the fine mountain cusine. In town the bars and restaurants are very sparse many tourists tend to stay in and dine in the comfort of their hotel but local specialities can be enjoyed just a short walk from your accomodation. Other activities you can enjoy during your ski holidays in La Grave include cross country skiing, hikes, sledging and ice skating. There is a free shuttle to the resorts of Chazelet and Lautaret (within 5km), with areas suitable for children, beginners and accompanying parents. The area of Serre-Chevalier is also easy to access being only 25 minutes by road. Unless you know it really well, you really need a guide to ski here. If you can only ski reds and easier there is only really one run - and that is quite stiff and isn't marked. The joy is true off-piste skiing - making your own track down a complicated mountain riven with hidden chutes and couloirs. There is only ONE lift from the valley to over 3200 (though there are two mid stations and it's common to ski from upper mid to lower mid, which is mostly through the trees). The two drag lifts advertised NEVER operate (one has broken the other is in bits). For serious skiers it's a must visit pilgrimage. Stay at the edelweiss and hire a guide or stay at the skiers lodge who include guiding and avalanche gear and will bus you somewhere else (Serre Chevalier / Alpe d'Huez / Claviere etc) to find suitable runs. The village is a real place with real traffic pouring through it, short on bars and restaurants and generally pretty dead - but it's no plastic disney land resort for sure.